Huhtamaki Henderson is a local manufacturer of paper and plastic food packaging. Huhtamaki products include the popular Lily Food Service range of plates, bowls, cups and cutlery and the Huhtamaki Catering range of the same products. Well known for our coffee cups, we are the only local manufacturer of paper hot and cold beverage cups. Hot beverage cups are available in single or double wall with the Huhtamaki Uni-Lid, a one size fits all lid on our standard coffee cups in 285ml, 400ml and 495ml sizes. Cups can be custom printed to near photographic quality. In addition to the standard food service range we have a range of compostable food service products under the BioWare brand. Products include plates, bowls, cups, cutlery and takeaway containers. BioWare products are suitable for events or where waste collection and disposal are managed. The Huhtamaki range includes a wide range of takeaway containers, fresh food and deli containers plus portion cups and food trays. Huhtamaki supplies food packaging to a wide range of food industries. Current products include paper and plastic ice cream packaging, dips, spreads and yoghurt packaging. Products can be custom designed to meet exact customer requirements or there's off the shelf options for those just starting out. Most products can be either custom printed, in mould or adhesive labelled to ensure shelf presence. 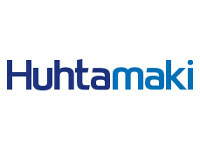 Well known for quality and service, Huhtamaki is a local manufacturer with the backing of a Global organisation. Call the team today to discuss your food packaging options. We have global network of manufacturing units in three distinctive technologies for general packaging requirements, we are well established to support our customer's growth wherever they operate.